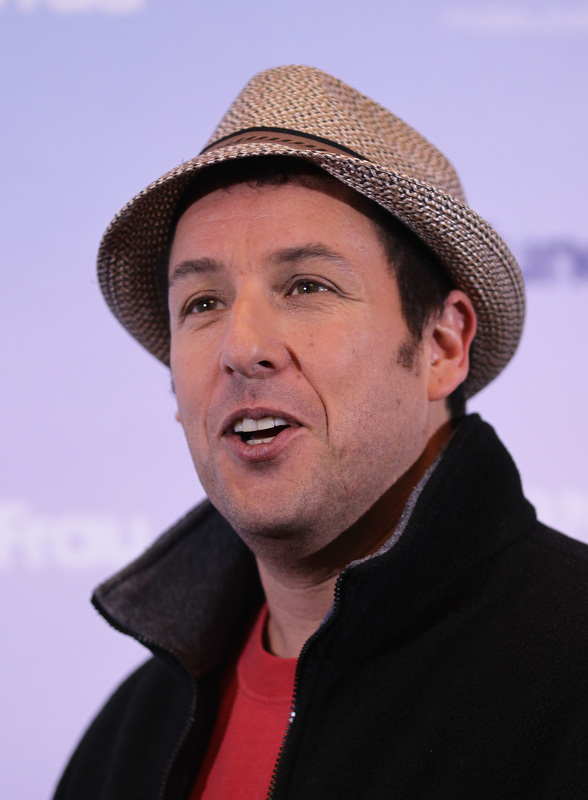 Adam Sandler is making a joke out of suicide. No, literally, he is. The actor has signed up for Hello Ghost , a film directed by Chris Columbus (Harry Potter and the Sorcerer's Stone) about a man who is visited by four ghosts after he tries multiple times (and fails) to kill himself. All signs on the film thus far seem to skew positive: Columbus has proven he's more than adept at delivering warm-hearted comedy (hello The Goonies!) and the film it's based on — South Korea's 2010 film of the same name — was a smash in its country. Still, with a script written by Admission's Karen Croner, there's one hold-out: Sandler, whose fare as of late has bordered on groan-worthy. Look, I'll never stop waxing poetic on the hidden genius of Jack and Jill , but the comedian's commitment to the Grown Ups franchise — seemingly an excuse to party with some of his closest friends for three months — proves that Sandler has ditched his more colorful artistic tendencies (Punch-Drunk Love, anyone?) for green. Not that that's a bad thing. But when he takes on a project centering on a subject as serious as suicide, the thought of Rob Schneider popping in to play a racist stapler is soul-crushing. Now, there's no doubt that Sandler could deliver quality — even the most low-brow of his comedies have struck the guilty out of the pleasure of enjoying them. (Admit it: You're searching for a TBS viewing of Happy Gilmore, The Wedding Singer, or Big Daddy right now, aren't you?) But there's absolutely no question that Sandler will deliver a hit. Six of his last ten films have broken $100 million, and only one — That's My Boy, set up more as a vehicle for Andy Samberg than Sandler — was a legitimate bomb. And there's a lot of responsibility that goes into making a film for the masses about suicide. Now, it's been done well before. It's a Wonderful Life transformed into the darkest family film to ever become a holiday tradition, and Heathers and Harold and Maude became irreverent favorites for how they approached suicide. But will Sandler's film follow suit? There's hope: The actor already treated the issue sensitively in Reign Over Me, in which he played a troubled 9/11 widower who attempts to take his own life. If Hello Ghost takes any tabs from the 2007 drama, he's in good shape. The second Kevin James is cast? Well, then we've learned that the Grown Ups star is not quite yet a grown up.